In every food writer’s life, there comes a moment when one must decide: to publicize or not to publicize. It’s a hard call when you find an honest-to-goodness gem, but you don’t want to risk messing it up by inviting the masses. Sure, you believe the little guys of the food world deserve more glory, but selfishly, you want to keep the small good places under wraps until someone else comes around and takes the proverbial lid off. That’s exactly how I feel about Know Reality Pie in Eagle Rock, a quirky little shop run by nice people who make some of the most delicious pies I’ve had in a long time. How delicious, you ask? 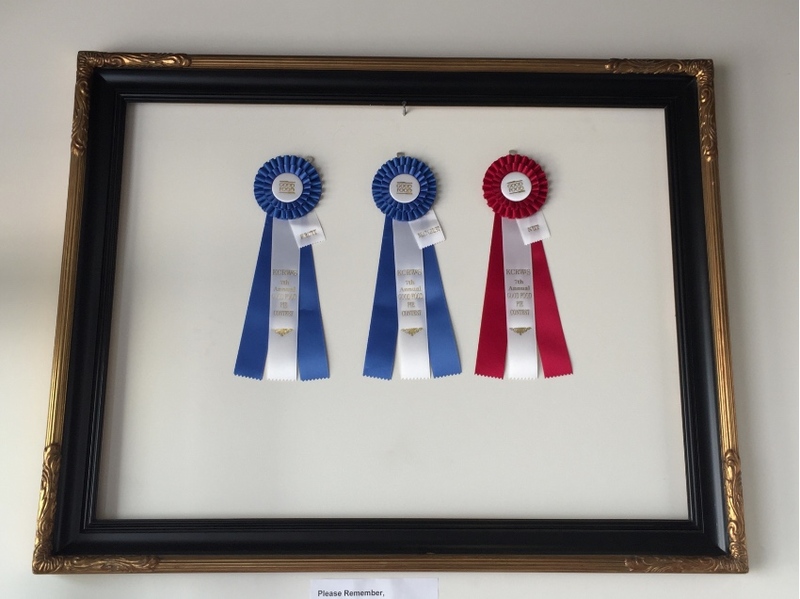 So delicious that owner Tracy Ann DeVore won ribbons in three separate categories—fruit, nut, and crust—at last year’s KCRW Good Food Pie Contest. And for that reason, I cannot in good conscience keep it to myself. Even though it’s nestled between a hair salon and a vintage clothing store, the narrow storefront stands out. Written in a bold, no-nonsense font, the name, which is based on the idea that people have forgotten what “real” pie tastes like and the “reality” that most people don’t really want to make their own pie at home, is plastered above the door. Inside the space, a storage area before it was converted, is teeny. 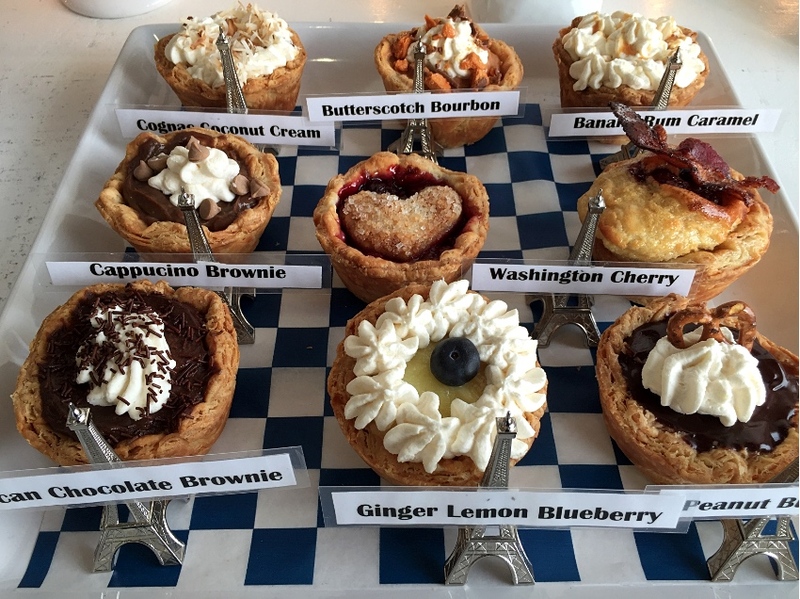 All the individually sized pies are displayed on a credenza that takes up an entire wall, so customers can get a good look and point to what they want. Though volume is limited, there’s a wide range of flavors to choose from. On the sweet side, the star is DeVore’s award winning Triple-Berry Cabernet, filled with a blend of raspberries, blueberries, and blackberries perked up with citrus and Saigon cinnamon. 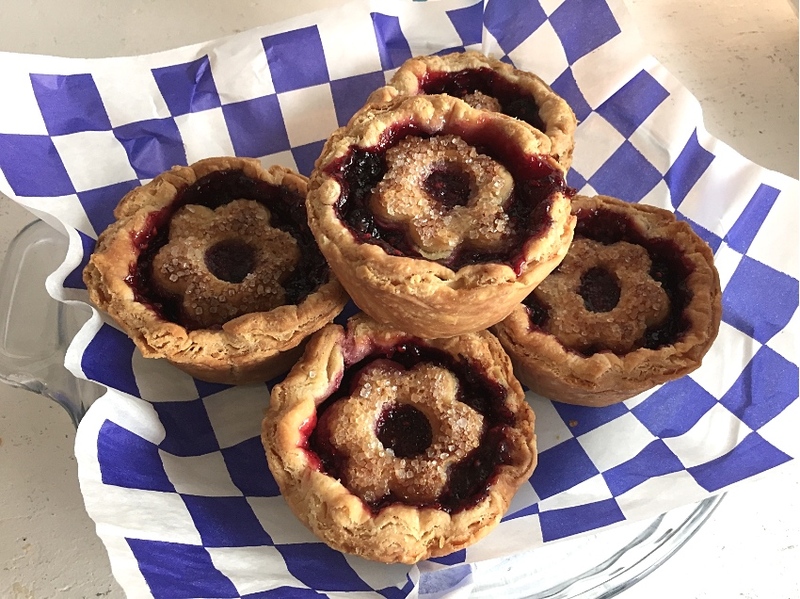 There’s a plump blueberry in every bite, and the top is encrusted with sugar, so there’s also some crunch. Also particularly good are the tropical-leaning mango pie drizzled with salted caramel and a classic Washington cherry pie that serves as an homage to David Lynch (they also serve his coffee and post his quotes on the wall). The savory selection includes a meaty chicken pot pie, a customer favorite that sold out in the 45-minute span that I was hanging out, plus a full veggie version, and a chipotle chili frito pie to name a few. Quiches are also available. Despite my dramatic opening, Know Reality Pies isn’t exactly a secret. DeVore and her fiance/business partner Kelly Deco have actually been running a successful online business for a couple of years now, do a fair amount of events in their pie truck, and even hosted a well-trafficked pop up down the street at Meea’s Hot Dogs for six months prior to opening their brick and mortar back in January. They’ve also gotten local press and have earned a dedicated following in the neighborhood and surrounding area. But, judging by the steady stream of regulars I witnessed coming in on a Saturday morning, (I fear/I’m hopeful that) this thing could get a lot bigger very quickly. DeVore seems to feel the same way when I ask her if she thinks she’ll outgrow the space soon. Kelly says that already it’s difficult to keep the pies stocked, which is why they’re only open three days a week. The crust, a recipe passed down from DeVore’s mother who served pie instead of cake at birthday parties, and the various fillings take at least three days to fully come together. That has made sustaining the retail and the online business a real adjustment (even with a team of seven people) and DeVore figures they’ll probably have to focus less on events if they want to extend the shop’s hours. “You do these little steps as you’re growing your business, and we’ve gone up that ladder around five rungs at once. We’re getting prepared for a little bit more,” she says. So, go ahead and go, but shhhh…don’t tell anyone else! 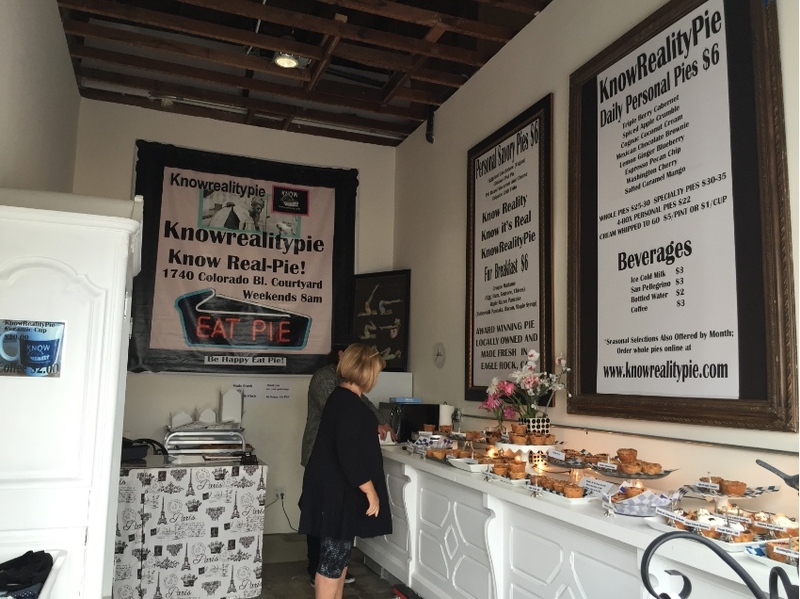 Know Reality Pie, 5106 Townsend Ave., 916-799-5772; Hours are Friday 4:00 p.m – 8:00, Saturday 10:00 a.m. – 6:00 p.m., Sunday 10:00 a.m. – 5:00 p.m.